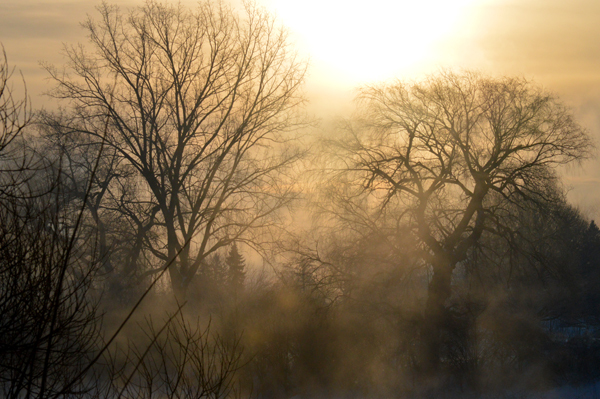 The sun rises behind the trees along the Thames River. Quite some time ago, when I was starting Darlinblog, I asked if I could couple your photographs with my poems. Now I’m here, and I would love the same opportunity for National Poetry Month 2014. Game? My word that’s beautiful ! One day I must come and see your Thames and compare and contrast it with ours here in England which I know well, both through its rural meanderings and its big presence in London. Reblogged this on Nano ali. Sheila, I love how beautiful and intriguing the fog makes this image.